We’ve all heard that we need to stage our home before selling but what exactly does that mean? The purpose of staging is to help create a mood for potential buyers and to show off all your homes greatest features. The things we do help to make your home feel bigger, warmer, cleaner, and in turn appealing to the highest number of potential buyers as possible. Depending on your home and your goals it can mean simply depersonalizing the home or it can mean a complete renovation. It can also sometimes mean furnishing some or all of a home, either physically or virtually. Sometimes it also makes sense to have furniture and accessories brought in to a vacant space so buyers can get a sense of how their belongings will fit. There is typically an additional cost to the seller, the rental of the furniture. In many cases even a vacant space doesn’t need to be filled and we can have virtual staging done. Photos are taken of the space and sent to a company we work with to virtually stage a few rooms. When this happens we like to focus on the rooms that are most important to buyers such as the living room, master bedroom, and kitchen. In fact, NAR’s 2019 Profile of Home Staging found that these three rooms are the most commonly staged rooms in a home. The most common form of staging is what we call “Low Cost-High Impact”. This is when your qualified agent or their professional stager walks your home with you and makes suggestions for things that will yield a high impact but are often no to low cost. 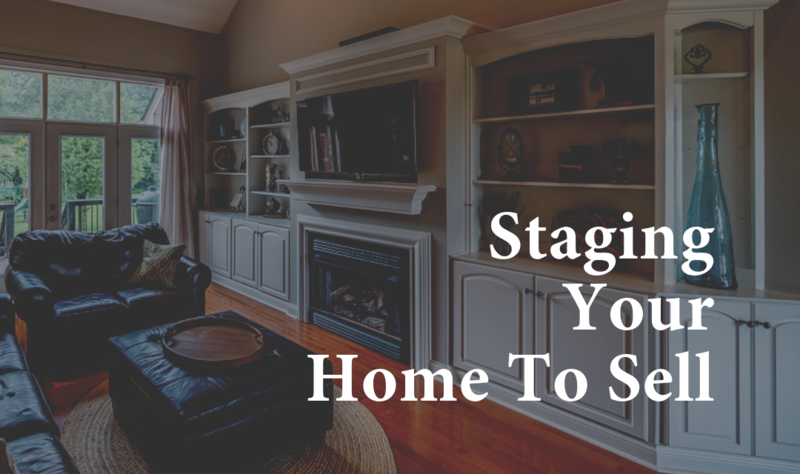 As a client of the Fogle Realty group we always offer Low Cost-High Impact staging at no cost to you as we know the value staging brings to help maximize your profits. That same 2019 Profile of Home Staging from NAR reported that 39% saw a 1-10% increase in buyers offer prices. If you choose to have your property physically staged we are able to refer you to a number of qualified and affordable options. What about time on market? NAR studies consistently show that staged homes sell faster than those that aren’t. Their most recent results showing 28% see a slight decrease and 25% see a greatly decreased time on market. Agents also reported that staging efforts had an effect on 40% of homebuyers. You can check out the entire NAR 2019 Profile of Home Staging Report HERE. If you’re ready to talk about what your home needs to get it on the market and sold for top dollar give me a call (502) 551-9396.